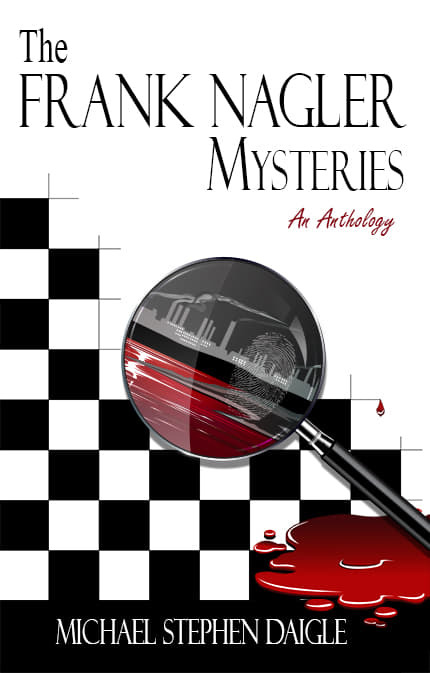 Barnes and Noble (www.barnesandnoble.com) has issued the hardcover copy of the Frank Nagler Anthology, containing the first three Frank Nagler Mysteries, and a short story bonus. Coming soon will be a paperback edition and an ebook version. Detail to follow. The award-winning Frank Nagler Mysteries. These books are set in a fictional Morris County, N.J., town called Ironton, which has along history of iron manufacturing. Frank Nagler, the cop/hero is a native of the town, whose father was an ironworker and his grandfather was an iron miner. The stories use as a backdrop the rich iron mining history of the region, and refer to many actual spots in the area. The rise and fall of the industry is part of the setting of the stories. That history includes the Morris Canal and the industrialization of the region. “The Swamps of Jersey” (2014) is about political corruption and murder, and I attempted to write it in real time, that is to say, reflecting some of the activities that mark our present lives that carry some universal meaning, but use them in a story that is broad and wide, and with luck, filled with the lives of characters struggling to make sense of troubled times. The central character is Frank Nagler, a cop, whose troubled heart is ever present. Nagler is called out on stormy night to investigate the report of a dead woman in the Old Iron Bog. It is the first event in a chain of events that set the hard-luck city of Ironton, N.J. on edge. Besides the possible murder, the city was flooded when a week-long storm settled in and wrecked homes, businesses, and streets, and Nagler is trying to make sense of a series of letters that claim to expose theft of city funds, except they are so incomplete he wonders if it is really so. Then there is Lauren Fox, a woman sent to Ironton to jump-start economic development. She and Nagler are attracted to one another and begin to become serious when she leaves town without an explanation. Nagler was an emotional recluse following the death of his wife years before. They had been childhood sweethearts, and her death crushed Nagler. A GAME CALLED DEAD was named a Runner-Up in the 2016 Shelf Unbound Indie Book Contest. The story is tense and propulsive. “The Weight of Living” (2017) brings Frank Nagler face-to-face with a soulless, manipulative killer whose crimes stretch back decades. 2018: Named a Distinguished Favorite in the Independent Press Awards contest. 2018: Named a Distinguished Favorite in the BYC Big Book Award Contest. A young girl is found in a grocery store Dumpster on a cold March night wearing just shorts and a tank top. She does not speak to either Detective Frank Nagler, the social worker called to the scene, or later to a nun, who is an old friend of Nagler’s. What appears to be a routine search for the girl’s family turns into a generational hell that drags Nagler into an examination of a decades old death of a young girl, and the multi-state crime enterprise of the shadow ringmaster. The deeper Nagler looks, the more he and his companions are endangered, until the shocking climax that leaves Nagler questioning his actions to both solve the crimes and heal his damaged soul. The story is entangled, deeply involving and holds an emotional grip. It was just another summer political fund-raiser, until it wasn’t. This entry was posted in BooksNJ2017, Fiction, Greater Lehigh Valley Writer's Group, Hot in Hunterdon; Georjean Trinkle, http://www.sallyember.com, Imzadi Publishing LLC, Michael Stephen Daigle, Mystery Writers of America, www.michaelstephendaigle.com and tagged "A Game Called Dead", "The Swamps of Jersey" Imzadi Publishing, "The Weight of Living", "Who shot the smart guy at the blackboard? ", Anita Dugan-Moore., Audible.com, Audio books, Big NYC Book Awards, Fiction, Independent Press Award, Kirkus Reviews, Lee Alan, Royal Dragonfly Book Award, Shelf Unbound Indie Book Awards. Bookmark the permalink.